The young men are hopeful, idealistic, and full of energy. They are social media savvy, and have mastered the use of the internet to broadcast their message. They post selfies online, posing with kittens. They’re from the US, Canada, Australia, UK, and more than seventy other countries. And they’ve traveled to the Middle East…to join ISIS. It would be easy to assume that ISIS fighters, responsible for so much death and destruction in Syria and Iraq, are Syrians and Iraqis. The truth is more complex. 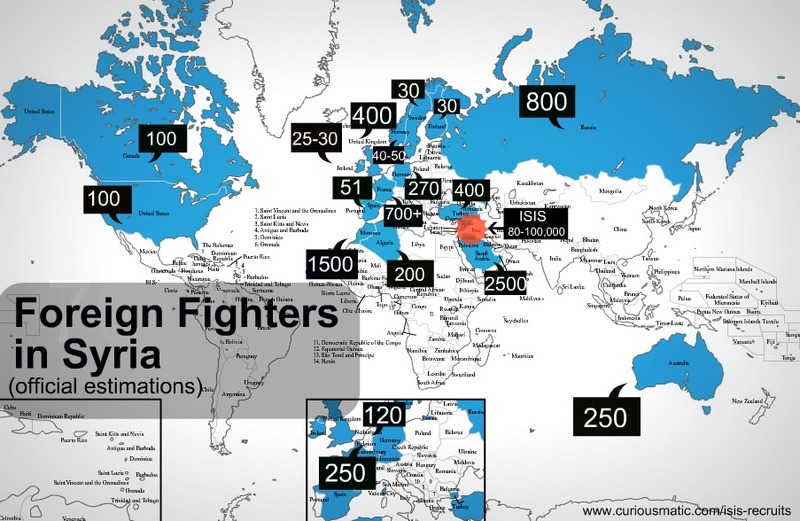 Many of those waging war are foreign fighters who have come from around the world to join ISIS ranks. With it’s slick online presence and recruiting campaign, upwards of 12,000 foreign members have been recruited. Young men have come to fight. Families have come, to fight and offer support. Young women have come to marry jihadists and help in the creation of the new state. They are a mix of life-long Muslims, and recent converts. Few have previous military training. They sound like us, because they’re from our communities. Each come for their own complicated reasons, but all have found something compelling in the ISIS message. “The perceived failure of Western states to give young Muslims a sense of belonging, purpose and value as Muslims and citizens is striking in the online accounts of these women jihadis” noted Dr. Katherine Brown. Many of the young men are believed to feel disconnected to their home communities, lacking a feeling of belonging, strong sense of identity and purpose. This might sound familiar; the same underlying patterns emerge repeatedly from youth culture. This isn’t a Muslim issue. This is a human issue. But ISIS has been able to leverage the situation for their own idealogical purposes, and the outcome for anyone who doesn’t fall perfectly in line with their beliefs is deadly. •Build friendships with neighbours. Invest time in the neighbourhood. •Build friendships that span diverse ages and backgrounds. •Invest in community centers and groups which create connection for youth. •Support social and neighbourhood groups which create opportunities and meaningful employment for young people, including those who have a tough time fitting in. •Pursue big, audacious, “impossible” dreams, (like providing heart surgeries for the 100,000 kids who need them) and create a way for others to become part. Show others that it’s possible to create something bigger than yourself and make positive change in the world. Tagged: Canada England France Germany ISIL ISIS recruitment Islamic State Russia Spain United Kingdom where are ISIS members from?